The holidays are coming up really fast, and we have to start thinking about it early to be in time with ordering online! The shipping delays are always a little longer the more and more we get close to Christmas, so it's important to start thinking about it quickly! Since shopping Christmas gifts can sometimes be a fuss , I've created this cool gift idea grid!!! 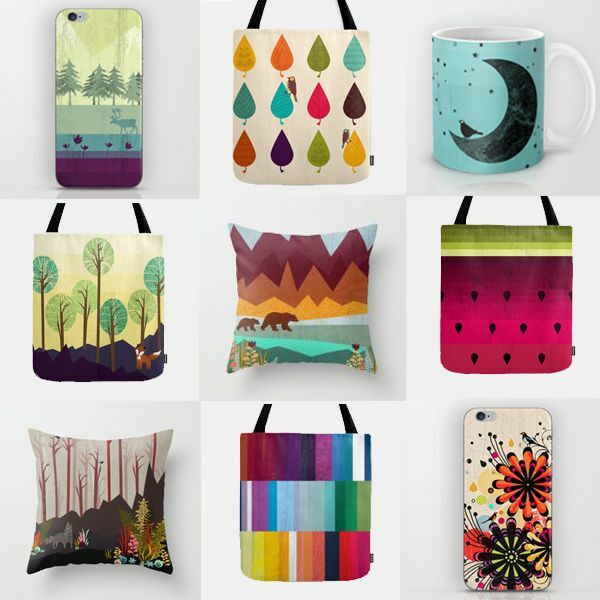 These awesome products are all under 20$ and can be found in my redbubble & Society6 shops!!! I hope you guys enjoy :) Happy shopping time!